Short hike today into the outdoor center. We needed this to once again dry out and warm up after our 17 degree night in near white out conditions. We froze again!!! The last couple of days I have been running on empty… The Tank was empty! Today I realized I have the flu… I’m doing what I can to treat it, but options are limited. Time and a slow pace will be the order of the day for awhile. I hope I don’t drop off the group I’m with since they are all top shelf. In the moments on the trail that haven’t been rain snow ice, I have seen some incredible views, I have climbed up and down places I would think people insane to even attempt. I’ve fallen twice now but only once that made me think I may have been going home. I’m still here and each day brings new challenges and amazing scenes. Every type of individual is out here. I’ll leave it at that for now! Thank You to all who are supporting me in all ways big and small… I could not do this without your help and encouragement. 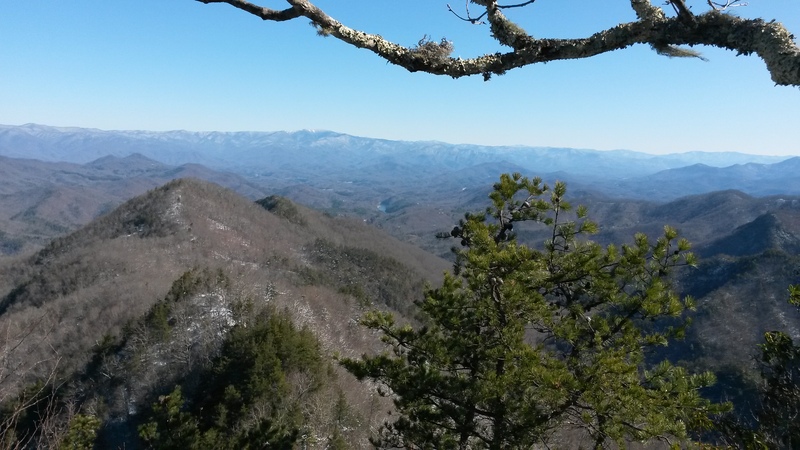 The pics are along the trail between Wesser Bald and NOC. Looks like a beautiful place. I’m glad you’re enjoying it in spite of the tough conditions. Life is short… Press on! Hope this finds you feeling better, Tank. Drink lots of water. Maybe sunshine will help. Hi Tank. Jane & I visited the NOC Monday and had a great time there. Take some rest and give yourself a chance to recharge. 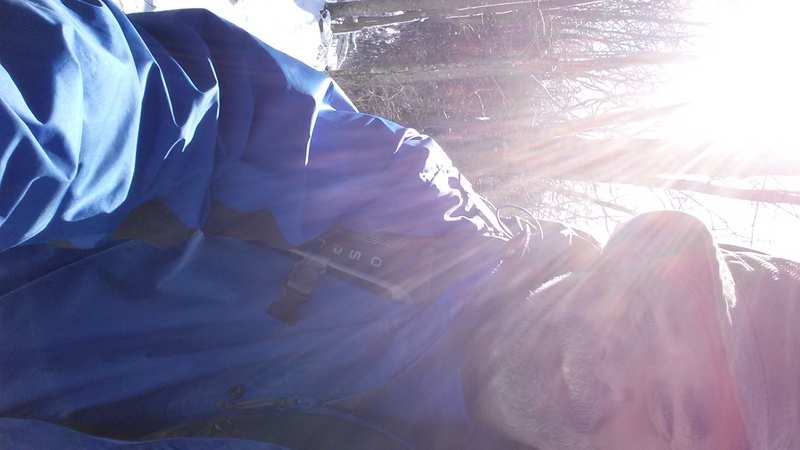 Guardian is about 60 miles behind you and I know he’d like to hike with you some if the opportunity arises. Sounds like you’ve all been subject to epic cold for this time of the year. The very best…prayers are backing you up all the way. Take care of yourself and hang in there!! This view looks incredible! Perhaps…taking care of your body is ‘numero uno’, and there are new groups to meet and share after this one, and more after that. ‘Hike your hike.’ I’m thinking of your bride waiting for you in Hot Springs like Beatrice from Dante’s Inferno. V and I are taking her out celebrate your victories over cheesecake tonight.